Come along to our FREE Walk the Line instore info night on May 29th with DWMRT. “Walk the line” was an event first run in 2011 by DWMRT and it has been their most successful fund-raising event to date. 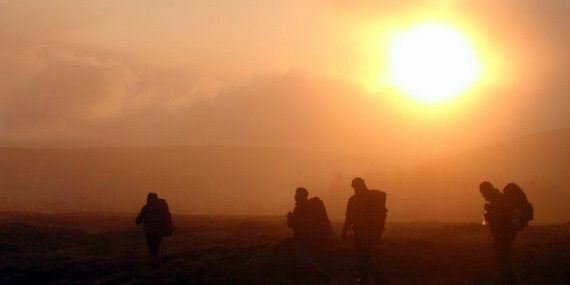 “Walk the Line” is a challenge walk on a sustainable route allowing participants to safely enjoy the mountains whilst raising much needed funds for the Dublin & Wicklow Mountain Rescue Team. Participants are offered a guided option to those who like the idea of a challenge but don’t want the worry of having to know which way to go. Also on offer is a non guided option to cater for those of you who prefer to walk in smaller groups and enjoy the peace and tranquility the mountains have to offer. Each year DWMRT have tried something different, night time events, day time events etc. with a view to making the event more attractive, however, your feedback tells us it’s the night time event that you enjoyed the most. With this in mind “Walk the Line 2014 which takes place on the Summer Solstice (June 21st) is going back to the challenge of walking at night. Over the last three years “Walk the Line” has raised much valuable funds to help with the Team’s operational costs, which are getting constantly rising due to the increasing number of call-outs we respond to each year. The fundraising from Walk the Line so far has put DWMRT in the fantastic position of being able to purchase a Land rover defender and this year all money raised will go towards their continuous base developments. This event however cannot be successful without the support of the public. With so many charities looking to raise vital funds for the good causes they provide, fund-raising is a more difficult task all round. By you taking part in Walk the line you will be helping the team to “Save Lives in Wild and Remote Places”. Great Outdoors has been involved with Walk the Line since the very first event in 2011 and we are proud to be involved this year too. To find out more about Walk the Line, come along to our FREE instore information night on Thursday, May 29th from 8:00pm where you’ll get the chance to ask lots of questions and even, sign up on the spot. To celebrate it being DWMRT’s 30th birthday this year, there’s also a FREE draw for all who sign up before June23rd, up for grabs is a 2 night break in the Old Forge in Wicklow.